For those who like to read good books about discipleship and/or ministry and interact about them. Feel free to start a discussion or join in on one already in progress. When posting, always remember to provide references so that others can check the primary source themselves. If you can link it to something that is online, that's even better. And don't forget, it's perfectly alright to disagree and debate, just do so with a spirit of "gentleness and respect" (1 Pet. 3:15). There is also some good information about books in the Resource and Book Reviews forum - check it out! Started by Skip Holman. Last reply by vartan khatchadourain May 1, 2017. Started by Skip Holman May 1, 2017. Started by Network Creator / Coordinator Aug 15, 2015. Started by Sean Ingram. Last reply by Brenda Turner Jan 4, 2012. What's the next book? I'll order it from the library on audio CD. I'm a trucker & most of my reading is listening. The process of discipleship isn’t difficult—the commitment is. In fact, it’s what’s most missing in the church today. (“It” being discipleship, or commitment? Exactly.) Still, because discipleship has become such a lost art in the church, many don’t even understand the process anymore, even if they have the desire. After reading John Thompson’s book, you’ll no longer have that as an excuse. John L. Thompson. Changing the Landscape of Eternity: Transforming Believers into Disciples. 256p., $13.99, Deep River Books. The opening section, “Laying a Firm Foundation” is just that, and deals more with the theological/”why” questions. If you don’t need as much convincing, you can likely jump to Part 2 (the other two-thirds of the book), “Building an Effective Discipleship Ministry”—but not before at least reading Chapter 5, “Jesus’ Requirements: Are You a True Disciple?” As well as being a gut-check before getting into the “work” section of the book, the chapter also recounts some of John’s own story—and in short, amply illustrates why learning to following Jesus is worth the cost. From there, we’re walked through the basics of how to establish a discipleship ministry, as well as how to deal with issues such as obstacles to growth, as well as how to tailor discipleship ministries to small groups and children’s ministries and/or parenting. 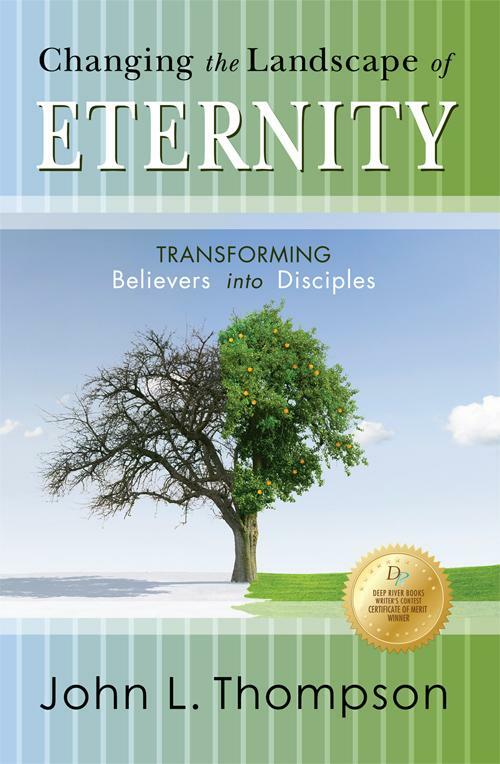 Changing the Landscape of Eternity is, simply, a solid book on discipleship from end to end. If you care at all about discipleship (and you’d better), but don’t know where to start… start here. I am about 100 pages into William Gurnall's THE CHRISTIAN IN COMPLETE ARMOUR. It is an amazing book full of wonderful insights and pithy sayings. Wearing my highlighter out! Those loved to talk and to write. But, I am enjoying every word. STRONGLY recommend. Thank you Sean for the warm welcome! I used to be quite an avid reader but going through some life transition - I just need to start it again. And right now, I want to learn all I can about the Lord and being a Christian. Finishing up Sam Storms' PLEASURES EVERYMORE. Great read in the Piper theology of "Christian Hedonism." I've been enjoying, profiting from, been challenged by Brennan Manning's Ragamuffin Gospel, Glimpse of Jesus, Reflections for Ragamuffins. GREAT depth and insight. New favorite author. Hi, I'm new here. My reading has not been the greatest but I'm hoping by joining to receive good book suggestions and read! I already see several good suggestions.